Preheat oven to 325F. 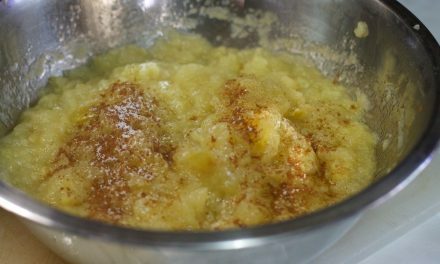 In a large bowl, cream half of the sugar into the margarine, then add th salt and vanilla extract, blending well. Next add the flour, oats, and nuts, and blend thoroughly. Place dough by the Tablespoonful on ungreased cookie sheet. Shape into crescents. Bake for 15 minutes or until bottoms are light honey-golden. 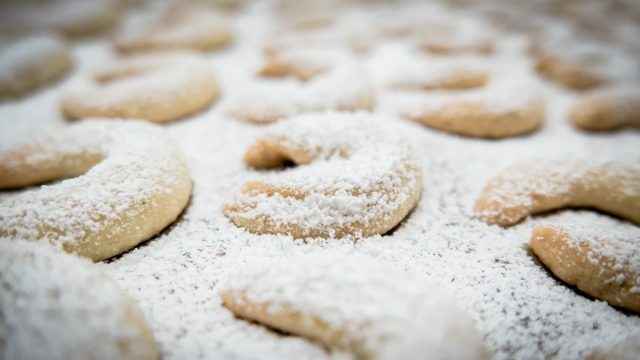 Remove to wire rack and sift remaining powdered sugar generously over warm crescents. The generosity and sweetness of pueblo foods at Christmastime is embodied in this recipe.